$329/mo. for 36-mos. $0 Due at signing, excludes tax, title, license, options, and dealer processing fee of $300. For highly qualified customers through Volkswagen Credit. Lease a 2019 Golf SportWagen S with automatic transmission for $329* a month. 36-month lease. For highly qualified customers through Volkswagen Credit. 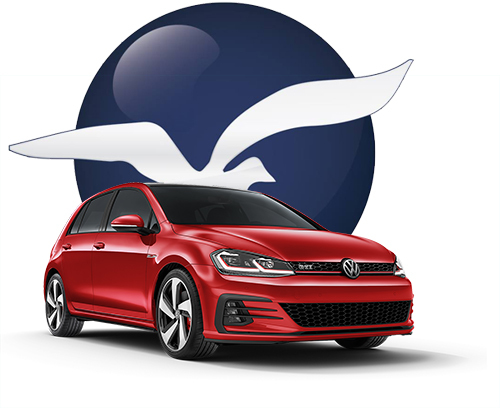 Offer ends April 30th 2019 *Closed end lease financing available through April 30, 2019 for a new, unused 2019 Golf SportWagen S with automatic transmission, on approved credit to highly qualified customers by Volkswagen Credit through participating dealers in Florida; Georgia; Alabama; South Carolina; Tennessee; Maryland; North Carolina; Virginia; Mississippi; Arkansas and Louisiana. Monthly lease payment based on MSRP of $22,995 and destination charges less a suggested dealer contribution resulting in a capitalized cost of $23,260.55. Excludes tax, title, license, options, and dealer fees. Monthly payments total $11,844 and include acquisition fee of $675. Your payment will vary based on final negotiated price. At lease end, lessee responsible for disposition fee of $395, $0.20/mile over 30,000 miles and excessive wear and use. Offer not valid in Puerto Rico. See your Volkswagen dealer for details or, for general product information, call 1-800-Drive-VW. ©2019 Volkswagen of America, Inc.
$369/mo. for 36-mos. 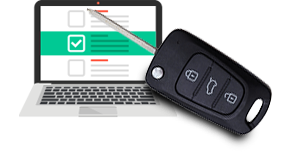 $0 Due at signing, excludes tax, title, license, options, and dealer processing fee of $300. For highly qualified customers through Volkswagen Credit. Lease a 2019 Passat 2.0T Wolfsburg with automatic transmission for $369* a month. 36-month lease. For highly qualified customers through Volkswagen Credit. Offer ends April 30th 2019 *Closed end lease financing available through April 30, 2019 for a new, unused 2019 Passat 2.0T Wolfsburg with automatic transmission, on approved credit to highly qualified customers by Volkswagen Credit through participating dealers in Florida; Georgia; Alabama; South Carolina; Tennessee; Maryland; North Carolina; Virginia; Mississippi; Arkansas and Louisiana. Monthly lease payment based on MSRP of $25,295 and destination charges less a suggested dealer contribution resulting in a capitalized cost of $26,364.79. Excludes tax, title, license, options, and dealer fees. Monthly payments total $13,284 and include acquisition fee of $675. Your payment will vary based on final negotiated price. At lease end, lessee responsible for disposition fee of $395, $0.20/mile over 30,000 miles and excessive wear and use. Offer not valid in Puerto Rico. See your Volkswagen dealer for details or, for general product information, call 1-800-Drive-VW. ©2019 Volkswagen of America, Inc.
$2,999 due at signing. Excludes tax, title, license, options and dealer processing fee of $300. No security deposit required. For highly qualified customers through Volkswagen Credit. Lease a 2019 Beetle 2.0T S with automatic transmission for $299* a month. 36-month lease, $2,999 due at signing. Excludes tax, title, license, options and dealer fees. No security deposit required. For highly qualified customers through Volkswagen Credit. Offer ends April 30th 2019 *Closed end lease financing available through April 30, 2019 for a new, unused 2019 Beetle 2.0T S with automatic transmission, on approved credit to highly qualified customers by Volkswagen Credit through participating dealers in Florida; Georgia; Alabama; South Carolina; Tennessee; Maryland; North Carolina; Virginia; Mississippi; Arkansas and Louisiana. Monthly lease payment based on MSRP of $20,895 and destination charges less a suggested dealer contribution resulting in a capitalized cost of $19,054.27. Excludes tax, title, license, options, and dealer fees. Amount due at signing includes first month’s payment, capitalized cost reduction, and acquisition fee of $675. Monthly payments total $10,764. Your payment will vary based on final negotiated price. At lease end, lessee responsible for disposition fee of $395, $0.20/mile over 30,000 miles and excessive wear and use. Offer not valid in Puerto Rico. See your Volkswagen dealer for details or, for general product information, call 1-800-Drive-VW. Example: $259/mo. for 36-mos. $0 Due at signing, excludes tax, title, license, options, and dealer processing fee of $300. For highly qualified customers through Volkswagen Credit. Lease a 2019 Jetta 1.4T S with automatic transmission for $259* a month. 36-month lease. For highly qualified customers through Volkswagen Credit. Offer ends April 30th 2019 *Closed end lease financing available through April 30, 2019 for a new, unused 2019 Jetta 1.4T S with automatic transmission, on approved credit to highly qualified customers by Volkswagen Credit through participating dealers in Florida; Georgia; Alabama; South Carolina; Tennessee; Maryland; North Carolina; Virginia; Mississippi; Arkansas and Louisiana. Monthly lease payment based on MSRP of $19,545 and destination charges less a suggested dealer contribution resulting in a capitalized cost of $20,706.88. Excludes tax, title, license, options, and dealer fees. Monthly payments total $9,324 and include acquisition fee of $675. Your payment will vary based on final negotiated price. At lease end, lessee responsible for disposition fee of $395, $0.20/mile over 30,000 miles and excessive wear and use. Offer not valid in Puerto Rico. See your Volkswagen dealer for details or, for general product information, call 1-800-Drive-VW. ©2019 Volkswagen of America, Inc. I bought an Alltrack today from Maggie McGraw. She was very personable, thorough, and pleasant. She made this experience a real pleasure for the first time in my car shopping days. I avoid buying a car usually but Today was the exception I needed!!! Thank you so much! Had a great experience and our sales person Maggie McGraw was an absolute pleasure to deal with! She gets five stars! The people that make up this place are absolutely amazing! Pohanka of Salisbury in whole are beyond any expectations that anyone could ever have. From the entire process of purchasing a vehicle and service as well as being an employee for the most amazing corporation i have ever came across. Just when i thought no possibilities were available these folks pulled ... together and made the impossible become reality not only for myself but other friends and family. Never give up and always choose Pohanka! You will be amazed at the outcomes that will be presented to you. Trust me when i say they truly can do the impossible! Thank you each and everyone of you that makes up the entire TEAM! And i am more than happy to say i am apart of this amazing team and company! Your dream car awaits at Pohanka Volkswagen Of Salisbury! Choose from an extensive selection of new, used and certified pre-owned Volkswagen models for every budget and style. 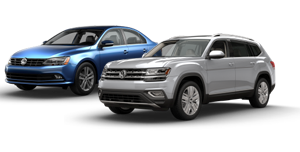 From the Atlas SUV to the sporty Jetta, you’ll find a great selection of vehicles at Pohanka Volkswagen Of Salisbury. 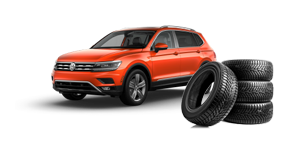 We also have a Volkswagen certified service department and in-house financing to serve you better. Whether you’re looking to buy or lease, our award-winning team of experts will work to connect you with the best financing options. We invite you to browse our complete inventory online today or stop by and see all that we have to offer with a visit to our state-of-the-art showroom. In fact, it’s our low prices, wide range of services and VIP service that makes customers for life. Experience the Pohanka Volkswagen Of Salisbury difference today! We proudly serve drivers from across the Delmarva Peninsula, including Salisbury, Fruitland, Delmar, Laurel, Quantico and Princess Anne, MD.